A curious observer interested in the plastic and movement arts in which the body and/or the objects are communicators. Joan understands the scene as a space for dialogue between humans, objects and the environment where game and work melt together with the tools, experiences and ideas that each of us bring. In 1994, Joan made its first contact with plastic arts at the school of Art La Llotja, Escola d’Arts aplicades i oficis artístics. 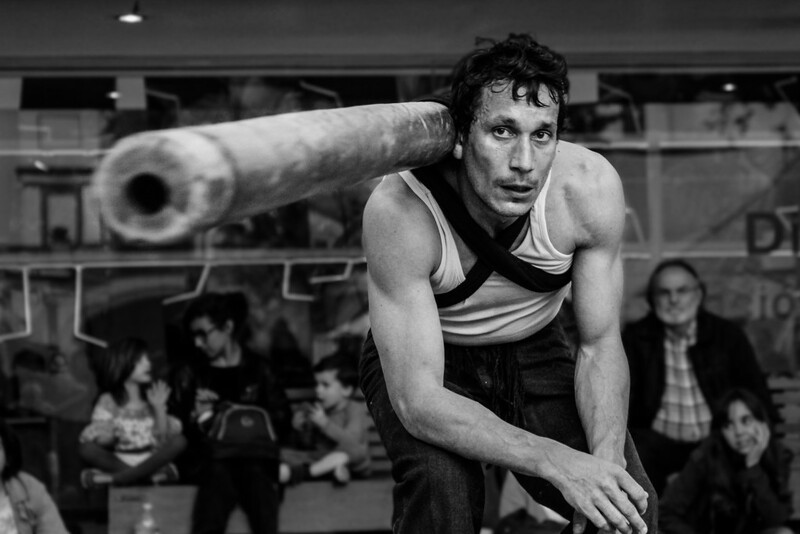 From 1999 to 2005 works for different circus schools such as Caramps in Madrid, Rogelio Rivel in Barcelona and the National Circus School in Moscow in order to specialize in the acrobatic work (hand to hand). Joan also trained in contemporary dance, physical theater and clown with different professionals such as Mal Pelo, Michel Dellaire, Iñaki Azpillaga, Àngels Margarit, Thomas Hauert, and David Zambrano. 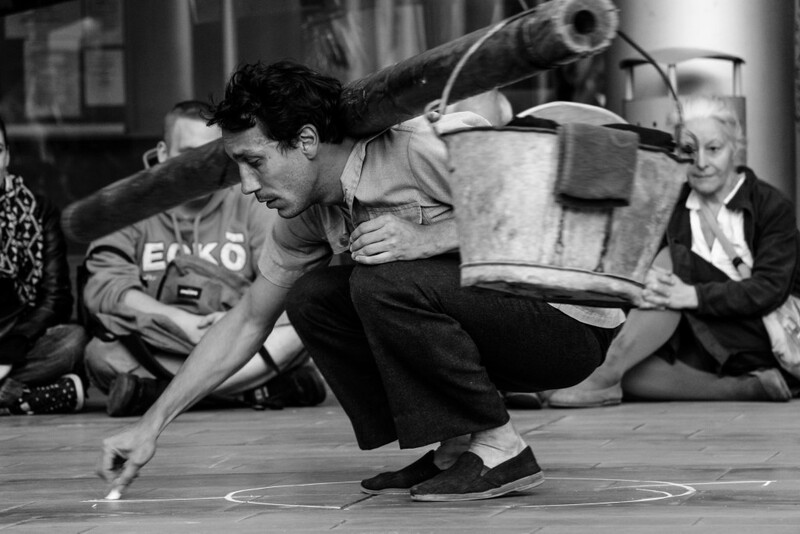 Since 2005 he has performed in different theaters and festivals around the world with the companies Daraomai, Circus Klezmer, Los 2Play, and Cia. Mudances-Angels Margarit. Joan has collaborated with Eulàlia Ayguadé in the show Little Me premiered at the 2012 Salmon Festival. During 2013 with Iris Heitzinger in the scenic research process Caída Libre, in different work phases. Short film “You will fall again” from Alex Pachon, an audiovisual project awarded in 2015 at the International Fiver Festival. In 2012, Joan starts to develop its own perspective around scenic arts focused on street and urban landscapes. The result is the show PELAT, premiered at 2013 Fira de Tàrrega.